What Makes A Good Detox Retreat? 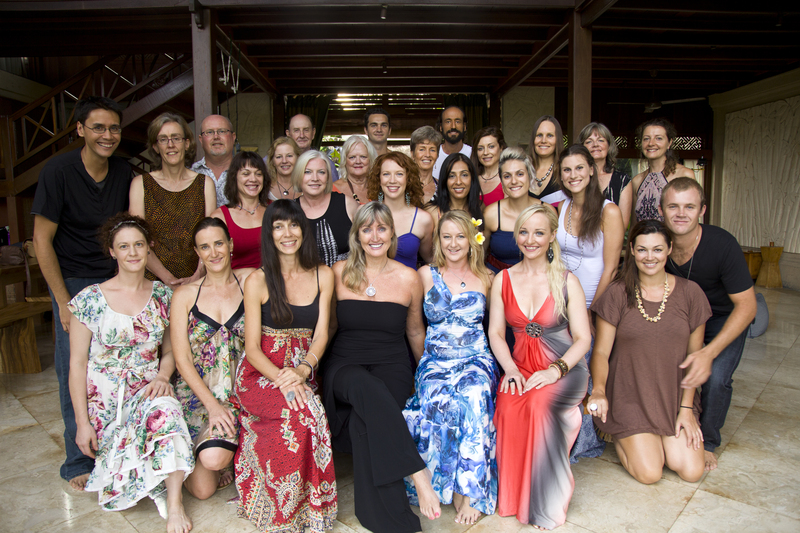 I’ve been running the Embracing Health Detox, Healing & Raw Food Retreats for almost five years now, travelling around Australia and to Bali, teaching hundreds of people about the benefits of detoxification and sharing with them an incredible physical and emotional experience over the week of my retreats. When I started up, there were very few people doing what I was doing – finding boutique resorts at different places around the country, and running retreats. Nowadays however, there seems to have been a boom in the industry and all types of retreats and getaways are being started up everywhere – and as people are looking for a good quality retreat to cleanse and heal, I get asked about what makes the Embracing Health Retreats so different. There are three main answers to that question and many points of distinction that are worth noting. For anyone wanting to do a genuine detox program and get the most out of a week or more away, these points become imperative when evaluating the type of program to engage in. One of the first elements that I feel is important, is to do with qualifications. To me, qualifications are essential when you are putting your health into someone else’s hands and expecting them to guide you through a healing program. I have noticed so many people popping up these days running “wellness retreats” or “health coaching” programs, with no qualifications other than reading a few books and maybe doing a weekend course or a short correspondence course on health or “life coaching”. Every time I hear about another unqualified person taking people through a health protocol, it scares me! These “pseudo-practitioners” are playing games with people’s health. I know from experience that many people who come to a detox retreat are very unwell, some suffering with quite severe or even terminal illnesses. They require special consideration with regards to their food, supplements and activities. This is a field where unqualified people can do much harm. At the very minimum you want a qualified naturopath running your detoxification program. Naturopaths are not people who have read a few books and decided that eating healthfully is the latest craze, so let’s set up a business. We study for four years full-time, incorporating an incredible depth of study into anatomy and physiology, chemistry, biochemistry, nutrition, herbal medicine, and many, many other topics, as well as doing hundreds of hours of clinical practice before graduating. Even though a lot of what we talk about is shared in “layman’s terms” and we talk about everyday subjects such as food, the knowledge behind what we share is involved and complex. I feel this is a very important point when looking into who is running your retreat program, or even someone who is coaching you or advising you on your health. Always, ALWAYS ask about the qualifications of the person who is advising you on your health – and if they don’t have any formal qualifications, then I would be very wary about taking their advice. At the Embracing Health Retreats we have two highly-qualified naturopaths on staff, myself, who has been studying natural medicine for over twenty years and Rhianna Smith who works for Embracing Health and is a very talented naturopath. Rhianna has been on the Embracing Health team for over two years, and is a vital part of the retreats, consulting, supporting and sharing her wealth of knowledge. The second element comes down to experience, and have knowledge about the detoxification process in great detail. Understanding what is happening in the body is so important – the processes it is going through, how to support the body properly through its cleansing, and how to also deal with the emotional aspects of detox that also occur. Again, if your retreat host has only attended a few retreats, or done a weekend workshop or two, that doesn’t give them the necessary training to be able to successfully work with people through a comprehensive program. It is the depth of experience of your host, that becomes a huge asset as people journey through their detox experience and open to new insights and awareness of their body and their emotional health. To be able to trust their host, to have faith in their knowledge and ability, is a big part of a successful detox program. My experience, for example, has not only been a lifelong journey of personal discovery which gives me a solid grounding in the healing world, but I spent years working as the naturopath at the Hippocrates Health Centre in Australia, a very strict raw detoxification program, coaching people and supporting them through the cleanse. Every day for several years, I was witness to, and intimately involved in people’s healing and recoveries. Of course there were sad stories as well, with people that we couldn’t help, but I was privileged to witness and be a part of seeing almost every disease known to man resolve or improve. It was an amazing experience and one I will always be very grateful for. From there I went on to set up my own Embracing Health Retreats, and have spent another five years facilitating retreats and working with people as I educate them about detoxification, food as medicine and the emotional aspects of healing. It is this level of experience, consisting of over a decade immersing in the world of detoxification, that allows me to have such confidence in my program and know the sort of results that can be achieved. Thirdly is the knowledge of what needs to be included in a comprehensive program and why. It’s all very well and good to put a few juices together and put people on a fast, but to get the best outcome, there needs to be a depth of understanding of the ingredients used and how they are put together to work on specific organs of the body to create a desired outcome. This takes a lot of study into food as medicine, and a grounding in the biochemistry of how different elements in foods affect different systems and organs, and initiate biochemical reactions in the body. It is the same with utilising supplements and herbs into a program – years of study and working with hundreds of patients provides a deep understanding that comes from experience, which cannot be duplicated without those years of both study and practical research. This ensures that the Embracing Health program is based in a solid background of application and assessing the results, fine-tuning and perfecting the protocol. This is one of the reasons why we obtain such incredible results at these retreats, because every element involved in the retreat has a purpose to it. Having a fully qualified and talented chef on the team is also an incredible asset that the Embracing Health Retreats have. WildRaw Chef Cat Cannizzaro is a chef by trade, who spent years working in the industry, starting as all chef’s do, as an apprentice and working her way through the ranks in five star hotel kitchens and gaining experience in all aspects of food preparation. From that solid basis of chef training, working with all manner of talented and renowned chef’s, she developed a passion and love for fresh, organic local produce, and developed into the field of raw food. Being a qualified chef is very different from picking up raw food preparation from a few short courses or practicing raw food for family and friends, and then setting yourself up as a raw food preparation teacher or trainer. Again, as it is with naturopathy, it is the depth of training, the experience, the knowledge, and the application that makes a huge difference. Not just to the quality of the food being prepared, but in the ability to combine ingredients for their specific healing purposes and create dishes that are medicinal as well as delicious. That is not to say that there are not many, many talented people out there who have chosen to move into raw food preparation as a business – but when someone is looking for the best, there is no comparison between someone who is fully qualified, and someone who is not. That point also shines through in the quality of the ancillary staff we bring in as a support team for the retreats, from the massage shaman’s who perform magic on the guests, to the yoga teachers who live and breathe their passion and inspire as they teach, to the guest lecturers who bring other elements of knowledge to share. Each person is hand selected for what they can bring to the experience of the retreat, taking the guests through a week long journey that opens them up to a new way of healing and a new way of seeing the world. For me it comes down to those three main points of distinction – qualifications, experience, and application of knowledge. Knowing that the team leading you through a detox program, has such a depth of understanding, that you can be assured that you are getting the best information and knowledge available to guide you in your healing journey. My Mum started going the the gym after she retired and her personal trainer wanted to put her on all these supplements like Argenine and about 10 other things I can’t remember. He also wanted her to do this box-detox thing where she drank only this mixed up liquid for a few days. IT WAS CRAZY!!! She went to her naturopath and she was horrified. The naturopath actually called up the gym and complained. This person was trying to sell my Mum hundreds of dollars worth of herbs and supplements that could have interacted with her medication, with NO qualifications!!!! All Mum wanted to do was improve her fitness. There are some dangerous people out there. Thank you for this article, I totally know what you are talking about. I really know what you mean about the Chef thing. There are a few raw food cafes in my local area and the difference in quality is staggering. You can really tell who has done the hard yards and studied as a chef, then moved to raw foods, and others that have a few raw food cook books and decided to open up a cafe. I have been watching some of the creations Cat puts out and that level of quality is just so apparent. Your retreat guests are so lucky! I am planning on attending a retreat early next year. I can’t wait to meet your team and benefit from your expertise! I feel that a good detox retreat has many different elements. Healthy food, fresh air and a relaxing feel to it so you can unwind. Perhaps with some spas and treatments as well. Please advise. I would like to find a retreat in Australia. Next post: Bali Detox Retreat Released – October 2013!